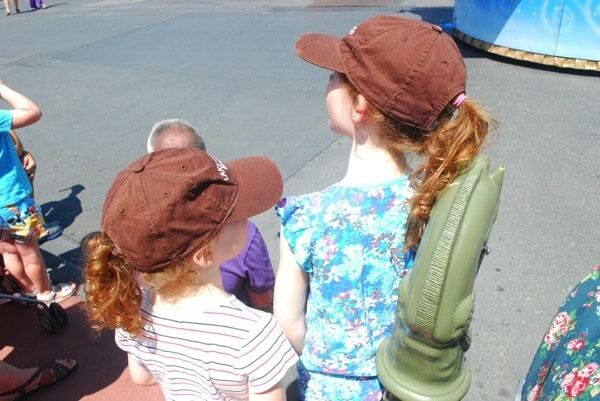 The day we got to Disney, the girls were so enamored with the pool that was the only thing they wanted to do. They had no idea exactly what Disney World was (and we hadn’t talked about the trip until the day of for fear of them driving us crazy). Once we explained that the castle from their beloved movies was there, they were ready to go! We were all excited to be there! 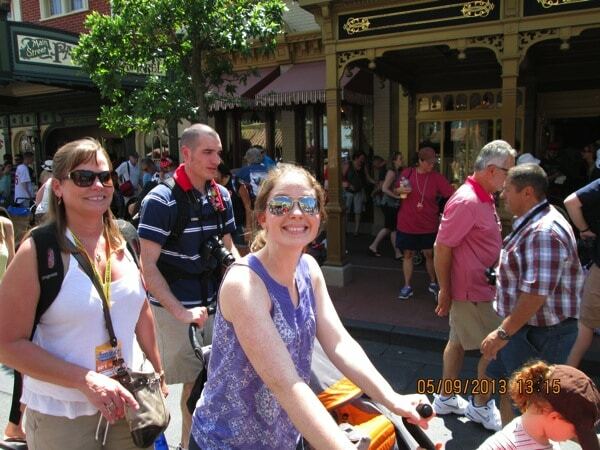 We ended up walking into Magic Kingdom right when they were having a parade. See, it’s always magic at Disney. Chip even came up and said hi! Some people like carousels. Me, not so much. So they waited in the very short line to get a ride. So happy to ride with daddy. And I was happy to stand on terra firma! 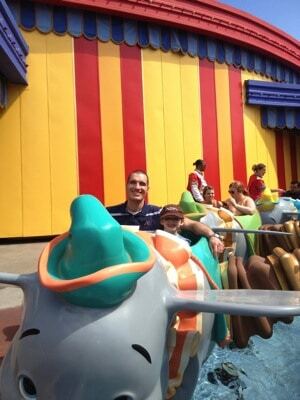 And, of course, Dumbo. I did this one. Whew, the spinning. 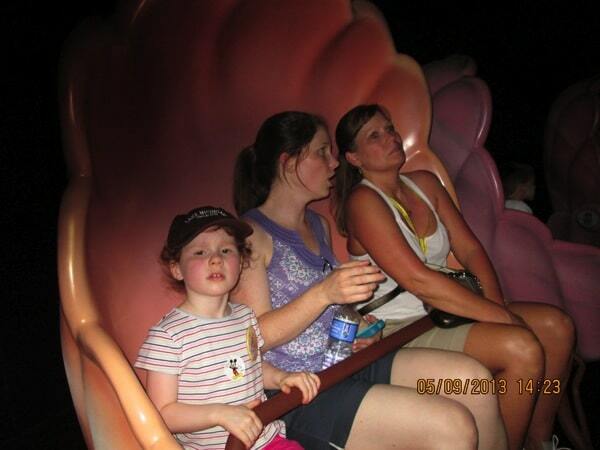 And, of course, the Little Mermaid ride. Grandma hadn’t seen the story, so I was explaining it all to her as we went around. She was confused. 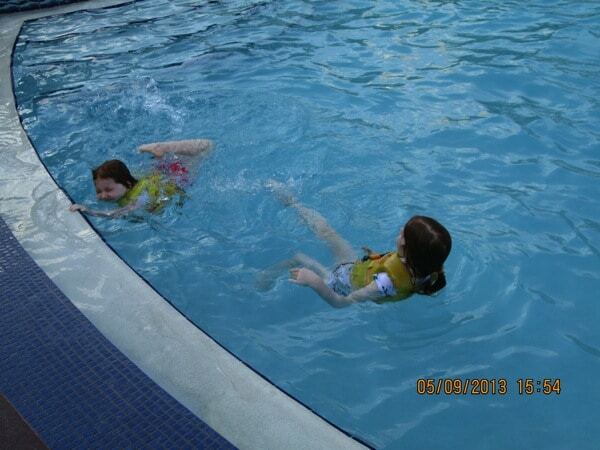 And, yes, they did get to go back and swim in the pool! Making them happy was important! Happy splashy girls. And, E was taking a long, much needed nap! 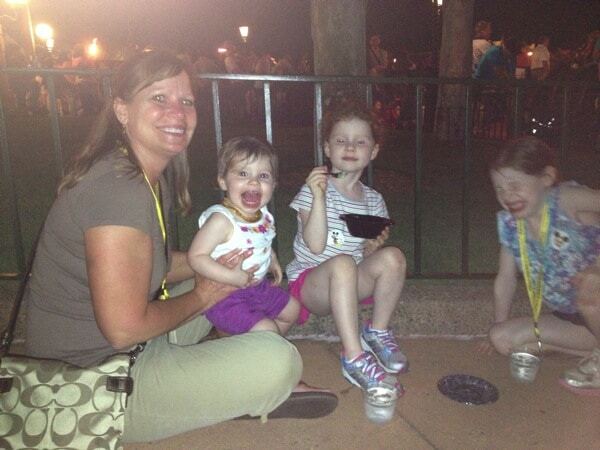 I went to Epcot for a little welcoming session and to hear Chris Powell speak, then the families joined us! 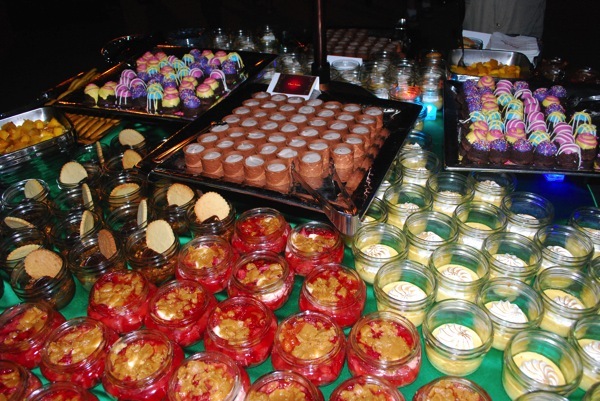 Then, we hiked over one of the countries in Epcot where there was a fabulous dessert spread. 10 pounds I gained from looking at all of this! Yum! The girls and grandma couldn’t have been more thrilled to be there. And, wrapped the late evening with fireworks. It couldn’t have been a more magical and enchanted day! My girls are already asking when we will go again! As participants in the Disney Social Media Moms Conference 2013 we paid our conference fee, which included hotel accommodations, park tickets, meals, and other gift items. I was not required, or asked, to write about the conference, events, or speakers. The honest opinions are my own and that of my family. We visited in 2008 but we’d like to go back soon. Wow, what a great day of Disney fun! SOOOOO FUN! 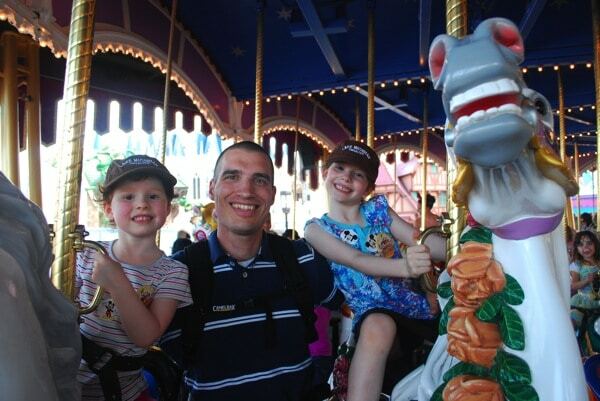 We had a blast at Disney a few years ago and I CANNOT wait to go back! So fun! We love Disney! Oh this looks like so much fun! 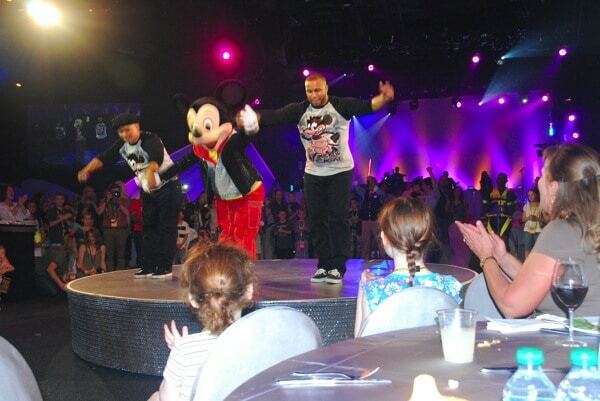 I love seeing Mickey perform. Wasn’t the new Little Mermaid ride great? I can’t wait to see everything after phase 2 of the Fantasyland expansion. Looks like so much fun! They are so happy and cute. 🙂 I can’t wait to go back there. My daughter was only 14 months when we went so she doesn’t remember it. Sounds like you had a great time! We love visiting the parks. So glad y’all got to do so much! I was really surprised by how much I liked Epcot. Lots of fun foods! How exciting! I’ve never been to Disney World before, but I’d love to visit someday! ohh it looks like a super time!! I love Disney recaps! 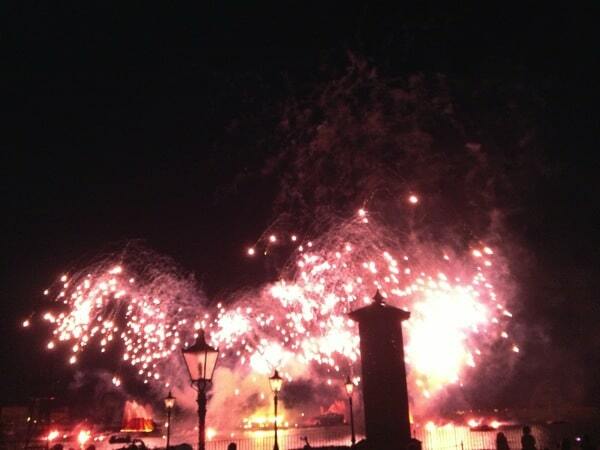 We got to go to an Illuminations dessert party after my friends wedding. It certainly is an amazing experience! We are going to Disney in November. Any advice? Do you know of any discount sites for tickets? I can’t wait to bring our kids there!!!! 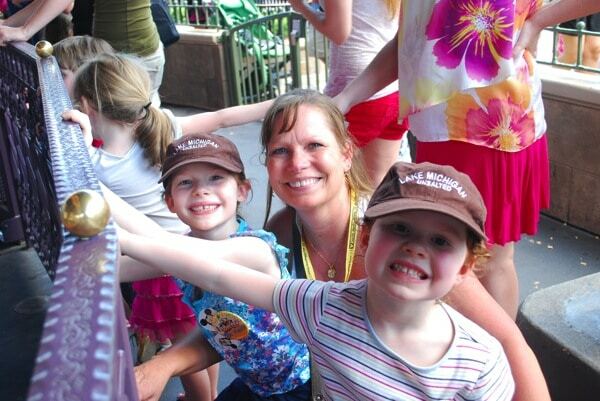 There is SO much to love about Disney World! Looks like a fabulous trip, I’d love to go soon. How great for your girls. I love the picture of them with grandma. They look thrilled. Looks like a fun-filled day! Love Disney! it seriously looks just beyond awesome. it was very magical. Disney went above and beyond with the entertainment. What a memorable trip! So glad you guys had fun! Wow!! Looks you guys had fun and that is a great table (right in front). The treats look yummy! I am not a mom yet, but this is one thing I am very much looking forward to! I cannot wait until my husband and I start a family, and the kids are old enough to understand Disney so that we can go. 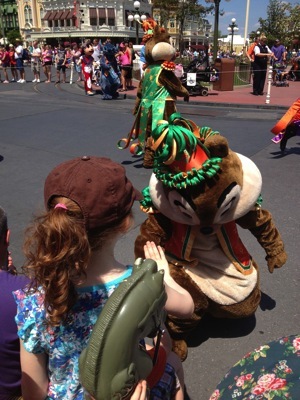 The thought of children getting to see their favorite characters in real life is so exciting to me! 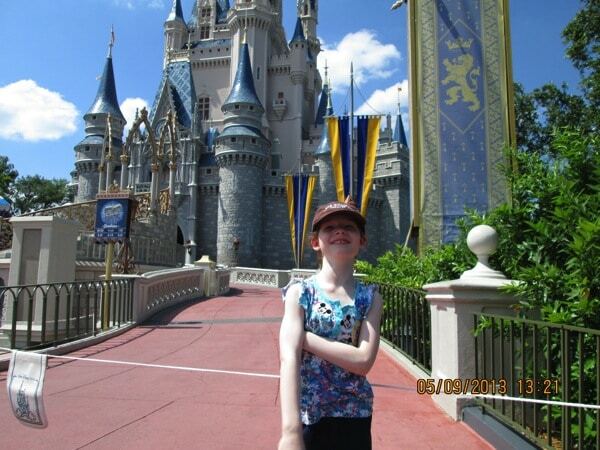 my daughter wants to go to Disney, hoping I can take her next year-I last went in 2000 so it was great seeing all your photos, it brought back lots of great memories. Glad you had such a good time too!